Never miss a free crypto Airdrop again! 10 hours ago Why You Should Conduct a Pre-ICO Airdrop? 4 days ago Trading Competition on KuCoin - Claim a share of 8 BTC + 35,000 KCS tokens. I am new to cryptocurrency, what do I do? First of all, welcome to the wonderful world of blockchain! We are happy you made it to AirdropAlert. We are here to help you navigate through the technical hurdles you might encounter as a beginner. First of all, have a look at our knowledge base. We have several tutorials available on how to create wallets and how to conduct transactions. If you feel we are missing anything urgent, feel free to contact our support by submitting a ticket in your airdrop dashboard. We hope you enjoy collecting airdrops as much as we do! Now go ahead and collect some tokens! A​ ​crypto airdrop​ ​is​ ​when​ ​a​ ​blockchain project distribute​s free​ ​tokens or​ ​coins to​ ​the​ crypto ​community. Airdrops are commonly used as a marketing strategy. To​ ​be​ ​a​ ​recipient​ ​of​ ​an​ crypto ​airdrop often​ ​the​ ​only​ ​requirement​ ​is​ ​that​ ​you​ ​have​ ​coins from the relevant blockchain stored​ ​in​ ​your​ ​wallet. Examples of this format of airdrops are Byteball, Stellar lumens and OmiseGo. The​ ​format​ ​of​ ​these​ crypto ​giveaways​ ​is​ ​usually​ ​like​ ​this:​ ​At​ ​a​ ​pre-announced​ ​time​ ​the​ ​project​ ​behind the​ ​event​ ​will​ ​take​ ​a​ ​”snapshot” ​of​ ​the​ ​blockchain,​ ​and​ ​anyone​ ​holding​ ​Ether or Bitcoin​ ​at​ ​that​ ​point​ ​will​ ​receive​ ​a certain number​ ​of​ ​free​ ​tokens.​ ​This can also be done on other blockchains, but Ethereum and Bitcoin are the most used for this airdrop format. Currently the most commen crypto airdrops require a few simple social media task. These projects use an airdrop as a viral marketing technique.  Example of this format is BRD airdrop. Many airdrops have a referral system in place, which allows your to earn more tokens. Read our tips & tricks on how to optimize your income with referral airdrops. A Hardfork is a less common, but well known way to do an airdrop. At a certain block number a chain Hard fork's in to two separate chains. if both chains get miner and community support you now have 2 separate coins! The most famous examples of this are Bitcoin Cash & Ethereum Classic. Exclusive airdrops are hosted and managed by us. If you are a blockchain startup looking for help with your campaign, request an exclusive airdrop by AirdropAlert.com and you'll surely get verified users. Bounties are also a popular way to earn crypto. There is a bit more effort involved to become a bounty hunter. Want to find out more on the differences between Airdrops and Bounties? We explained it all for you in our blog. Every airdrop has a different set of rules. The current trend with new airdrops require retweets on Twitter, usually you need a minimum amount of followers. Make sure you have active social media accounts to be eligible for these free crypto tokens. If you login our Airdrop Dasboard you can connect your social accounts in your profile. Which will make it easier to join our Exclusive airdrops. If​ ​you​ ​are​ ​an​ ​investor​ ​holding​ ​a​ ​diverse​ ​portfolio​ ​of​ ​coins​ ​you​ ​are​ ​likely​ ​to​​ be receiving​ ​more​ ​and​ ​more free​ crypto ​airdrops as​ ​this​ ​concept​ ​keeps​ ​gaining​ ​popularity. It's not all fun and games when it comes to these crypto giveaways. We explain the most common problems with airdrops in our blog. Community building is most important for any startup, not only the ones in the blockchain space. Proof of community is valuable to new projects. If you're not paying for the product, you are the product. By doing an airdrop the project creates awareness about their ICO or token. It brings people to the project that otherwise would not have owned or heard about it. It could lead to token price appreciation, since people value a token they own higher than a token they don't own. This is called the endowment effect. An airdrop also plants a seed in your mind. When you look at Coinmarketcap you will see a list of thousand coins. Just on page one you can see 100 coins listed. However if you have or had a coin that name is still in your brain. The seed is planted and whenever you check Coinmarketcap and scroll down, the name of the free e-Coin will jump out and people will check how it is doing. If they see an article that the free e-Token is doing well or bad, they are more likely to click it if they own it or previously have owned it. It's just like advertising! We currently see that projects are concerned about upcoming regulations for blockchain and airdrops. This is why we see a rise in airdrops that require to pass KYC. At AirdropAlert.com we provide a solution for this. KYC with us once and you will be KYC verified for all exclusive airdrops we host. Airdrop Dashboard, what is it good for? Log into your Airdrop Dashboard for a better experience collecting airdrops. We created a few options for the novice and experienced airdrop hunter. 1) Profie: Create a profile and connect your socials. When you join our Exclusive airdrops your social usernames will be pre-filled, which means a faster way to join airdrops and less room for errors! 2) Airdrops: A cleaner display of airdrops, with interaction possibilities like up & down votes and commenting. 3) Referral tracking: See you all of your referrals of several airdrops with one click. 4) Wallet: Add your Ethereum wallet so you can see your token balance with one click! Easy to track if you have received your airdrops..
5) Ticket support: If you run to any issues or have any questions, create a ticket and our team will get back to you within 3 business days. 6) Trade some of your Airdropped tokens, straight from your dashboard with our intergrated partner DDEX. So now you have free crypto, what do you do? Easy, log into your dashboard account and trade your tokens straight from your Airdrop dashboard! Many coins that do airdrops are PRE-ICO or just finished their ICO. This often means it is not traded yet on the bigger exchanges. You can check out our exchange page to see where you can best sell your crypto airdrops. Exclusive airdrops are only for AirdropAlert.com subscribers. We host special airdrops in collaboration with ICO’s. We are responsible for the registration, distribution and promotion of these airdrops. We have hosted campaigns for over 30 ICO's and will bring you more in the near future. The safest way to store your airdrops are hardware & cold storage wallets. These wallets store your coins offline, and therefore protect them from being hacked. There are a number of hardware wallets available. We would advise to use read our blog on the best cold storage wallets. Not all cryptocurrency can be stored in hardware wallets. We advise you to store your crypto in wallets where you control your private keys. You don't want your free crypto to be stolen! Read our 6 (and a half) tips on online security here. If you are looking to store your coins on an online wallet, we have written several beginners guides to set up Ethereum, Bitcoin, Litecoin & Ripple wallets. We want you to safely store the airdrops you collect and will try to guide you along the way. If you are scrolling through our website, you might run into "unverified airdrops". These airdrops did not pass the approval of our due diligence team. This does not mean they are instantly labeled as "scams'. However, we could not find enough verification points to list this as an airdrop for our users. We strive to post safe and legitimate airdrops for our community. This way you, as a user, can get the best airdrop experience! We strive to keep our website free of scam projects. Our team provides research behind each coin we list. However it is still possible we miss a scam project. Recently some projects changed their google form asking for private keys after we list them on our website. We award people with $5 worth in Ethereum if you email us about a scam on our website under upcoming or active airdrops. Help us to keep the site clean and prevent other people to be a victim of a scam. Login to your Airdrop Dashboard and contact our support through our ticket system. Do you want to list your airdrop on AirdropAlert.com? Please note that listing on AirdropAlert is free. Because we have a very long queue of pending Airdrops to be listed on AirdropAlert it might take several days for your Airdrop to be published. If you want your Airdrop to be reviewed before others, apply for paid priority. Go ahead and submit your airdrop! Would you rather have us host your campaign and deliver you verified users? Apply for an Exclusive Airdrop!